Fifteenth century chef Maestro Martino of Como has been called the first celebrity chef. This volume includes the first English translation of his text, a historical essay by Luigi Ballerini, and 50 modernized recipes by acclaimed Italian chef Stefania Barzini. A noted poet, translator, and literary scholar, Luigi Ballerini teaches medieval and modern Italian literature at the University of California, Los Angeles. 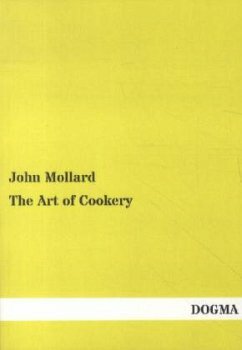 His edition of Artusi's Science in the Kitchen was published in 2003. Jeremy Parzen is a food historian, freelance writer, and musician. His translations include Marinetti's The Untameables (1994), Goldoni's The Coffee House (1998), and Bolzoni's The Gallery of Memory (2001). Stefania Barzini lives and works in Rome. A food historian and TV journalist for Gambero Rosso, the Italian National Food Channel, she is the author of a forthcoming book, Food and the Movies. She also teaches cooking and gastronomy at her own school, Al Castello.